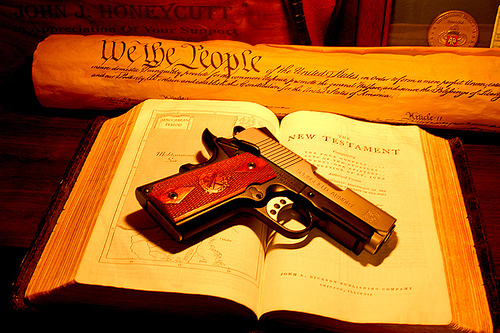 » Second Amendment The Rev. Wil Gafney, Ph.D.
As I have listened to folk talking about "the right to bear arms," it has struck me that they are treeating those words (and the Constitution) as scripture. What would happen if we applied the principles of sound biblical exegesis to the Second Amendment? For starters we'd have to take seriously the contexts – literary, social, cultural, political – of the text in its formation and of the interpreters. I do that exegesis here in conversation with my colleague, Jon Pahl.